Our culture – every culture – is in a period of rapid transition. Because of changes at a very basic level we are seeing the need for the Church to also change at a basic level. And the good news is that there is an explosion of spiritual energy and activity right now that many are calling a revolution. This revolution is na unprecedented reengineering of society’s faith dimension that is likely to be the most significant transition in the religious landscape that you will ever experience. Those who are sensing the revolution feel like they are the odd person out. Most of them struggle with conflicting feelings about their status in a church that does not yet understand them. The church that often fails to comprehend what they are going through and what they are feeling at their current place in their journey with Jesus. They feel more alive to Jesus and the Kingdom but less interested in the local church they are attending. They are sensing life in their journey with Jesus but don’t see that same life or dynamic in the local church they are attending week-by-week. Those who are struggling with their place in the Kingdom and in the Church – and this is what it feels like – a real, deep struggle – are part of a spiritual awakening that is happening in every area of the world and every type of church family. And this spiritual awakening and resulting passion for Jesus leaves people no longer satisfied with what they are seeing and experiencing in their local churches. They are looking for more – more of Jesus, more experiences, more radical encounters of the spiritual and supernatural kind. Often those who are hungry are discouraged in their journey by circumstances and the expectations of others, especially other believers. They are looking for “permission” to move forward to reach the next level, the new place in their journey towards spiritual maturity. And, ‘permission’ is not being granted. They are not being encouraged. People, Christians, are getting restless because they sense something is shifting in the Kingdom and thus in the Church. They are seeking, searching, looking for more. What they have, although decent and good, is simply no longer enough nor is it satisfying the hunger within them. As a result, many born again Christians have eliminated church life from their busy schedules. Or, they have already begun to take the initial steps of disengagement. Driven out of their local church by boredom and the inability to serve in ways that make use of their considerable skills and knowledge, each one of them have spent time exploring other churches. Some settle on a local church that appears to be more alive, more inclusive, and that will release their gifts and callings. Others have simply given up looking for a new church home and have settled for different alternatives. Of course, there will be many others who do not sense the shift that is taking place nor do they want to change as they are comfortable just as they are. Whether you want to or not, you will have to take a stand in regard to the revolution. It is on track to become the most significant recalibration of the Christian Church in more than a century. You response to it ought not be based on whether you are comfortable with it, but rather on its consistency with biblical principles and its capacity to advance the Kingdom of God. If you are a follower of Jesus Christ, then you must understand this revolution of faith because it is already impacting your life, and it will continue to do so in the years to come. This revolution is designed to advance the Church and to redefine the church. 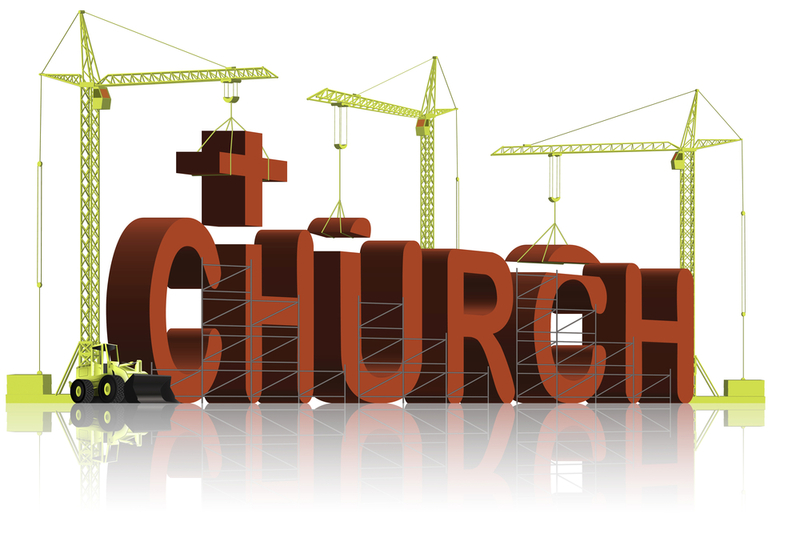 [Note: Church – worldwide assembly of believers; church – local assembly of believers]. Their life reflects the very ideals and principles that characterized the life and purpose of Jesus Christ and that advance the Kingdom of God. They are no longer willing to play religious games and are not interested in being part of a religious community (church) that is not intentionally and aggressively advancing the Kingdom of God. They want more – much more – of God in their lives and will do whatever it takes to get what they want. They cannot always explain what they are feeling (emotional) and sensing (spiritual) but to them these impulses are real and unsettling, motivating them to seek, search, and risk. The key to understanding revolutionaries is not what church they attend, or even if they attend. Instead, it is their complete dedication to being thoroughly Christian by viewing every moment of life through a spiritual lens and making every decision in light of biblical principles. These are individuals who are determined to glorify God every day through every thought, word, and deed in their lives. We are seeing a Christian Revolution emerging in many nations and it is releasing a spiritual revolution that will soon change the face of the Christian Church – the Church that Jesus is building.